Learning about engagement announcement etiquette is a great way to start engagement and wedding planning. Following proper etiquette can prevent hurt feelings, and it is also practical. Etiquette guidelines provide a structure for announcing your engagement to relatives and friends. Years ago, parents of the couple placed an engagement announcement in the local newspaper to inform everyone of the couple's plans. Today, most couples inform their families and close friends before placing newspaper announcements. Parents: Inform both sets of parents first. Grandparents: After you tell your parents, talk to your grandparents. Siblings: Sisters and brothers should find out after parents and grandparents. Close relatives: Tell close relatives about the engagement before talking with friends. Friends: After all of your close family members know about the engagement, you can announce your happy news to friends. Please note that if you have children, you should inform them of the engagement first before you tell your parents. 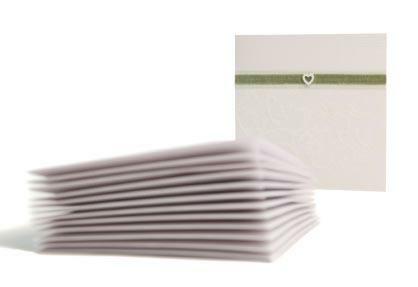 One of the most popular ways to announce an engagement, beyond telling people in person or over the phone, is sending a card to future wedding guests in the mail. Formality: This card doesn't have to be particularly formal, but if you would like it to be, it's customary for the announcement to come from the bride's parents. However, some couples prefer that the annoucement come from them instead of relatives. Announcements as save-the-dates: Some couples also like to use their engagement announcements as save-the-date cards. If this is your choice, make sure to mention the actual date, the city and state where the ceremony and reception will take place. Never send these cards to anyone who will not be invited to the wedding, since it will be assumed. When to send the announcement cards: Send the formal engagement announcement cards out before announcing the engagement in the newspaper. Since you are sending the cards to extended family, friends and acquaintances, you want them to find out about the engagement before the wider public. The newspaper announcement reaches a larger group of people. If you'd like to place an announcement in the newspaper, do this as soon as possible after he pops the question. Some papers have long waiting lists, so it could be a while before anything gets published. Your paper will probably have some sort of format it uses for announcements. Some only have space for about a paragraph, and some actually have a reporter call and interview the couple. Some couples don't like to mention the exact date of their wedding in the paper because they are afraid the general public will know when they will be out of town for their honeymoon. If this is the case for you, it's perfectly fine to mention the date in the wedding announcement instead, which is usually published a few weeks after the ceremony takes place. A newspaper announcement will almost always include a photo of the couple as well. Many couples meet with a photographer to have their images done. Facebook: On Facebook, you can either create your annoucement as an event and select those close to you that you want to know about it or you could manually send emails to those on your annoucement lists. Twitter: As for Twitter, you can send a private message to those close to you to let them know of the happy news. Consider privacy: Consider that when things are publicized on social networks, they are never truly private, so use this method with caution if you are serious about only letting a certain group of people know. Filtering issues: You also run a high risk of an email announcement being filtered as spam, and the threat of hacking into accounts is also an issue. So while convenient, this method is not the most favorable. Wedding websites: There are also a number of wedding websites that you can use to send out online annoucements where everything is done for you in a professional manner; all you have to do is add the names. This would probably be the best method for using the Internet to get your announcememnt out, as opposed to popular social networks. Details: Avoid including the details about when and where the wedding will be held if you are only announcing your enagement; some people may consider it an invitation if the date, time, and location details are listed. Though not as traditional as other forms of engagement annoucements, using simple party invitations can also be utilized to let everyone know the good news. This is perhaps one of the more popular informal ways to annouce and it also can let future wedding guests know beforehand in a casual manner. However, this casual tone could also make your future wedding guests think that the engagement party and the wedding will be more informal, so use this method with a little caution. A simple way to ensure that you send the right message and tone with your party invitation is to let your party invite design do the talking. If it's truly an informal affair, opt for a laid back design that screams fun, however if things are more formal and traditional your party invites should be elegant and specific. Letting your friends, family, and community know about your impending marriage is important, and keeping in mind tips on the right engagement announcement etiquette can help take the stress out of sharing the news. By following etiquette guidelines on who to inform first and how to announce your engagement, you can have a happy, rather than stressful, start to your wedding planning.